Terry Miller brings to Real Marketing Solutions more than 25 years of experience in sales, marketing and operations for high-technology companies. In each position, among his primary responsibilities were the development and implementation of customer acquisition, retention, and service strategies. He has spoken about customer relationship management at many industry events and has also written articles on the subject. Prior to founding Real Marketing Solutions, Terry was a founder and managing partner of CRM Group, a Customer Relationship Management (CRM) consulting practice concentrating on the development and implementation of customer acquisition, customer retention and customer service strategies. Clients included Adobe Systems, AT&T Wireless, Car Toys, Concur, Fujitsu, Selligent, ShareBuilder, T-Mobile and others. While there he managed the successful launch of big data marketing analytics, machine learning and campaign optimization pilots and national rollouts for T-Mobile’s Prepaid and MetroPCS business units. He also revised and managed T-Mobile’s Proactive Save, Winback and other Churn Reduction campaigns which helped deliver a two-year decrease in churn of 19.4%. In addition, he created and implemented programs that increased the revenue per call generated by Adobe’s customer care team by 50%. Prior to founding CRM Group, Terry was executive vice president and founding member of Mercata.com where he was responsible for all aspects of site content and design, marketing, merchandising, operations and customer service for this top-rated e-commerce company. During that time his team developed and implemented customer-acquisition and customer-contact strategies that customers consistently ranked among the highest in the industry. In addition, he drove improvements in marketing that reduced the cost for acquiring customers by 90% and implemented site enhancements and sales promotions that increased revenue by more than 150% per customer visit. Before his work at Mercata, Terry was vice president of sales for Asymetrix Corporation/SuperCede, Inc. There he directed worldwide sales and marketing activities for SuperCede, a start-up Java software and solutions company and managed the direct sales business units for Asymetrix, a pre-public software company. At SuperCede he opened sales offices, created a telesales department, established and developed distribution relationships in the United States, Europe and Japan. While there he used targeted direct mail and e-mail marketing programs to drive a 500% increase in the user base over the course of one year. Prior to that, he was vice president of sales for Softbank Services Group (now ClientLogic), a leading outsource provider of telemarketing, order processing, fulfillment and technical support services to high-technology companies. Before that he was vice president of Gupta Direct for Gupta Corporation, where he created and managed a new business unit for this developer of SQL database products and development tools. 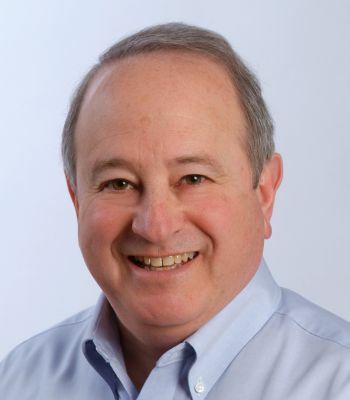 He has also held executive management positions responsible for direct marketing, fulfillment and customer service at Broderbund Software and Triton Products Company. Terry earned a B.A. in journalism at the University of Minnesota and resides in Redmond, WA with his wife Beverly and their bulldog/border collie mix, Sumo. He also makes a mean Caesar salad! Click here for Terry’s killer Caesar Salad recipe.